Meet Our Staff - Mark T. Albers, D.D.S. Patients appreciate our dedicated and highly-experienced staff members. They have worked with Dr. Albers for years and in some cases, decades! When patients come to our office, they can count on being greeted by familiar and friendly faces. A Colorado native, Michele runs our front desk. She met Dr. Albers in 1988 through her aunt who, at the time, was Dr. Albers’ dental assistant. A patient first, Michele stepped into her aunt’s position in 1998. She assisted Dr. Albers for more than 16 years until she made the move to our front desk in late 2014. Now, she enjoys working with our patients in a different capacity. Michele married her long-time sweetheart and together they have a two young daughters. They also have four dogs. In her spare time, she enjoys many outdoor activities and adventures, and has volunteered for years with local favorite, the Pikes Peak Hill Climb. 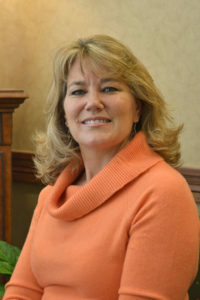 Another Colorado native, Susan first met Dr. Albers in 1987 when they worked for a group practice in Colorado Springs. When Dr. Albers left to open his own office, Susan went with him as his assistant. She stepped away from assisting for a time after the birth of her daughter. Subsequently, she returned to work in the Colorado Springs area. Susan had the opportunity to return to our office as Dr. Albers’ assistant when Michele moved to the front desk. She has enjoyed seeing the familiar faces of patients she knew from her previous work with Dr. Albers. She has also enjoyed reuniting with Jane, with whom she and Dr. Albers worked at the group practice early in their careers. In her free time, Susan enjoys reading, hitting the walking trails, and going to estate sales. Lee Ann was born and raised in Americus, Georgia. She graduated from Darton College in Albany, Georgia, and practiced dental hygiene in Georgia for several years. After she married husband, Bill, in 1983, they made Colorado Springs their permanent home. She has been a practicing dental hygienist for more than 39 years, and loves her profession. 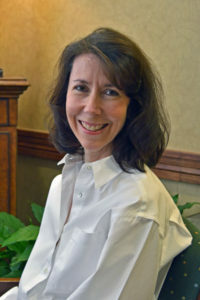 She joined Dr. Albers’ practice in 1998 because she enjoys the personal attention patients receive in a smaller office. Lee Ann’s interests include cooking, traveling, sports, and her newest passion….Orange Theory Fitness! She and Bill adopt rescue bloodhounds, which also keeps them busy! Jane was raised in Colorado – Littleton and Pueblo. She graduated from Pueblo Community College in 1983 and has worked as a dental hygienist more than 30 years. 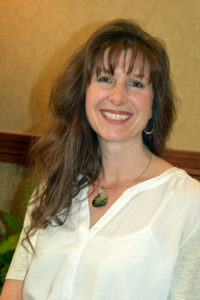 She has worked in various settings in Colorado, Hawaii and Missouri. Jane has a long history with Dr. Albers. She first started working with him in 1987 in a group practice, then joined him again when he bought his own practice. Jane left the office when her family moved to Missouri and Georgia. Following their return to Colorado Springs, she began working at the office again as a subbing hygienist. She officially rejoined our staff in 2011. Jane has been married more than 30 years, has a son and daughter out of college, another daughter in college, and a goldendoodle who remains at home. She loves to ski, play golf, travel, and read a good book. 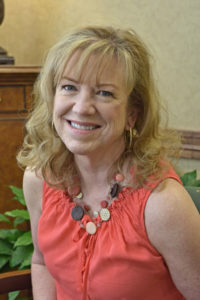 Our newest staff member is Colorado native Judy, a practicing dental hygienist for more than 23 years. She came to the office after working with Jane for almost 20 years in other practices. Judy is thrilled to be working at our office, feeling like this practice puts patient needs at the forefront. She loves the integrity and caring atmosphere projected by every member of the staff. Judy has three grown children. Her oldest daughter lives in California and works for a company that employs special needs adults. Judy’s son, active duty military, spent two tours in Iraq as a helicopter pilot, and lives in Boise with his wife and two children. Her youngest daughter, a physician assistant in Highlands Ranch, is married and the proud owner of two beagles. Judy loves spending time with her wonderful grandchildren, walking, biking, cooking and spending time with her family and her Great Dane.